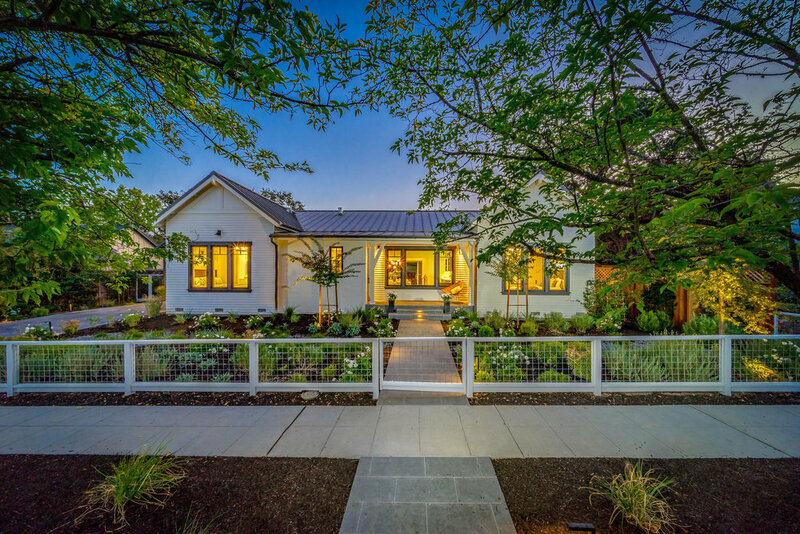 New Contemporary Farmhouse home completed in 2018 on one of the best streets in downtown St. Helena. New Contemporary Farmhouse 3 bedroom, 3.5 bathroom home completed in 2018 on one of the best streets in downtown St. Helena, just blocks from Main Street. Developed by Equestrian Life Development & Design. No expense was spared in providing the finest finishes in this turn-key retreat, from Calacatta and Carrara Italian marble in every bathroom to custom wide-plank wood flooring throughout. This home stands out from the crowd and will delight the discriminating buyer who demands the best in finishes and style. Highlighted features include state-of-the-art appliances by Wolf, Sub-Zero, Miele and Bosch, and top-notch fixtures, including Dornbracht and Axor Hansgrohe faucets, Toto toilets, Blanco sinks. Timeless natural stone is found throughout the home, including marble, onyx, limestone, quartzsite and French basalt plus Walker Zanger feature tiles. Bespoke features include a custom-fabricated marble powder room sink, custom cabinetry, custom metal shelving, custom and vintage furniture, designer light fixtures and a custom, temperature-controlled wine room. Enjoy a remote programmable front entry door handle system, five Sony televisions, a Sonos system and a separate media room off the kitchen. 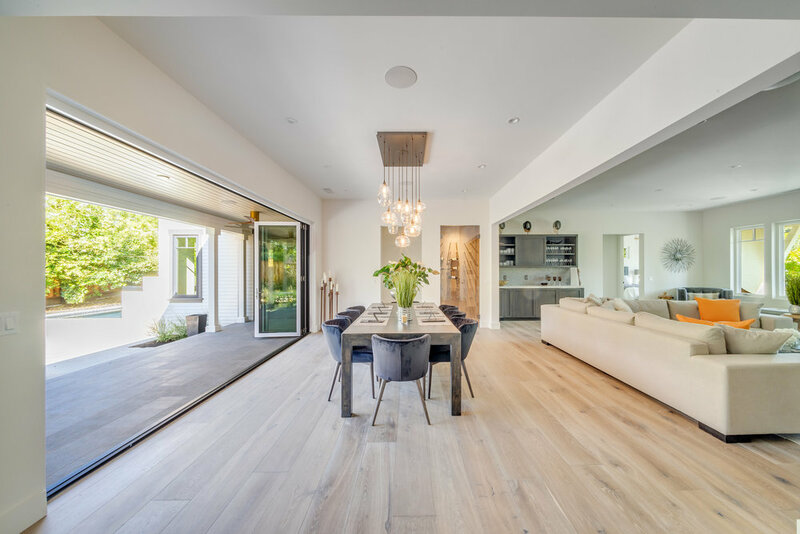 As you enter the home, open entertaining spaces connecting the living room, dining room, bar and kitchen invite you in to enjoy the best in California wine country living. The separate master suite offers the ultimate in privacy and amenities with an en suite bathroom featuring beautiful floor-to-ceiling Italian marble slabs, a soaking tub and separate shower. The suite offers direct access to the outdoor loggia complete with a spa, waterfall, fire features, fire pit and French basalt and limestone tiles. The outdoor area is a private retreat with olive, cherry laurel, crepe myrtle and live oak trees accented with beautiful lavender and other flowers to make you feel perfectly at home in Napa Valley. The back area provides the perfect setting for entertaining or private relaxation with a glass of wine in your luxury spool. Your dream home awaits you in St. Helena, the definition of luxury living in Napa Valley!